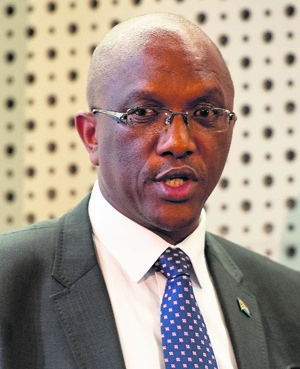 Cape Town – It’s not difficult to receive an unqualified audit - in fact it’s a no-brainer, Auditor General Kimi Makwetu said on Thursday evening in Cape Town. “An auditor will come to you and say: ‘that R250 000 is incorrectly accounted for – so please adjust. And you can correct it,” Makwetu said. Speaking at an event hosted by the University of Cape Town's Graduate School of Business, Makwetu spoke about accountability in government spending. He highlighted a lack of accountability among those who mismanage public funds. “The central theme that’s been driving our message is if those who are given the task to manage billions of rands are left to their own devices the system will fail,” he said. Makwetu said his office had signed off on 422 sets of financial statements in the past financial year. Of these, only 30% - or less than one on three - received unqualified audits with no findings. The most significant transgressions were in the area of supply chain management, he said, as there were often conflict of interests at stake. “If you are in partnership with a service provider you wouldn’t mind paying three times the price for a service or goods,” he said. At municipal level in particular, the AG said that those tasked with financial management didn't have the technical competence to manage expenditure or asset management. Makwetu said levels of irregular expenditure in SA were escalating, and officials weren't insisting on action being taken. In the current financial year, irregular expenditure amounted to over R45bn, up from R29.4 in the previous financial year. SA now finds itself in an environment that tolerates a low level of compliance, while there are no consequences and no transparency for how financial transactions are being carried out, he said. During question time, Makwetu agreed with a comment from the floor that the financial positions of state-owned entities were dismal. According to the latest Public Finance Management Act report, irregular spending at South Africa's state-owned enterprises increased to R2.8bn in the 2016/17 financial year, which Makwetu attributed to the weakening of supply chain management procedures. The overall financial health of SOEs also deteriorated, and the AG expressed concern that over a quarter of them face not being able to continue operating in the future. These include the SABC, the South African Post Office and PetroSA. As for government spending, there is an emerging trend among departments of not managing their finances properly, he said. This includes overspending on budgets, or not paying creditors when budgets started running out - in order to avoid unauthorised expenditure.